Hedgehog population health – what do we know? As Britain’s hedgehog populations suffer ongoing declines, wildlife disease expert Dr Becki Lawson from the Garden Wildlife Health team at ZSL’s Institute of Zoology discusses some of the key threats facing one our most charismatic native mammals. Whilst hedgehogs are one of our best-loved wild mammals, the national population in Great Britain has declined markedly in recent decades. A report published earlier in 2018 by the People’s Trust for Endangered Species and the British Hedgehog Preservation Society presents multiple potential threats that may be contributing to this decline, including agricultural intensification, road kill and predation. The report also notes that hedgehogs may have been faring better in urban rather than rural habitats over the last few years, but the reasons behind this unexpected trend are currently unknown. A Conservation Strategy for the hedgehog in the UK, led by the PTES and BHPS, in consultation with representatives of multiple organisations including ZSL, identified multiple aims and objectives to guide collaborative investigations into the cause of the hedgehog population decline. Whilst there is no currently no evidence that disease is a cause of the population reduction, the importance of ill health remains unknown and there is a need to investigate the range of conditions affecting wild hedgehog health and their impacts. What is the Garden Wildlife Health project and who is involved? Garden Wildlife Health is a project co-ordinated by ZSL (Zoological Society of London), in collaboration with the British Trust for Ornithology, Froglife and the Royal Society for Protection of Birds. We’ve been working together to investigate the disease conditions affecting garden birds and amphibians across Great Britain for over 25 years, and we began to conduct health surveillance of hedgehogs in 2013. It takes a team effort to undertake this research, involving multiple additional wild mammal conservation and welfare organisations and wildlife rescue centres. Most importantly though, we rely on ‘citizen scientist’ support from members of the public and appeal for sightings of sick or dead wildlife, including hedgehogs, to be reported to us online via our website: www.gardenwildlifehealth.org. 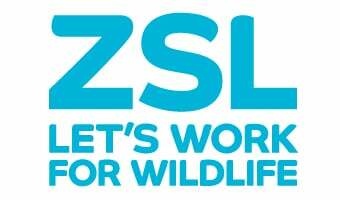 I am one of a small team of wildlife vets working on the Garden Wildlife Health project at ZSL who collate these reports and conduct post-mortem examinations on some of the animals in an attempt to reach a diagnosis and an understanding of the cause of death. As a conservation charity, our primary goal is to investigate the impacts of disease on free-living wildlife populations. To achieve this, we need to learn more about the range of conditions currently affecting wild hedgehogs, and to determine whether any of these may be contributing to the population decline observed. At the same time, we seek to gain a better understanding of the potential of these conditions to cause ill health in people, companion animals or livestock. With this knowledge, we can identify simple measures to mitigate these threats and help safeguard public health and the health and welfare of both captive and wild animals. To achieve this we conduct “scanning surveillance”: this term means that we don’t focus on a single condition but instead are interested in learning about all the various infectious disease and non-infectious threats (e.g. predation, trauma, poisoning) and the impacts they might have on hedgehog health. We aim to establish the cause of death for each hedgehog that we examine, as well as to detect any underlying conditions present. Also, samples of tissues collected from each carcass examined contribute towards our national archive, which provides a valuable resource for future studies. To date, we’ve examined over 300 hedgehogs from across Great Britain. This has enabled us to diagnose a wide range of conditions and to learn that multiple diseases often occur in the same individual. We have also been able to improve our understanding of conditions that are very common and already well-known in hedgehogs, for example lungworm infections. Over the past few years we’ve focused our energies on investigating the frequency and patterns of occurrence of a range of bacterial and viral infections of hedgehogs that have been previously reported in Britain and/or mainland Europe, but where many knowledge gaps still exist. Whilst it is too early to make any firm conclusions, our investigations to date indicate that there is no evidence to support any single condition being a cause of Great Britain’s ongoing hedgehog population decline. Some of our most recent findings are detailed in a paper entitled “Salmonella Enteritidis ST183: emerging and endemic biotypes affecting western European hedgehogs (Erinaceus europaeus) and people in Great Britain”, published in the journal Scientific Reports. In this study, we describe two strains of Salmonella Enteritidis affecting hedgehogs. The first, PT11, is already known to have been endemic, or established, for several decades in Great Britain. Whilst this strain of the bacterium can cause disease in hedgehogs, there is no current evidence to suggest this occurs at a scale sufficient to be a cause of the hedgehog population decline. The second strain (PT66), has only recently been discovered. It is currently only known to occur in Scotland and more work is required to determine if it is also endemic or if it has only recently emerged. In addition, this work found hedgehogs to be a potential reservoir of Salmonella bacteria for other species; the Salmonella strain identified in British hedgehogs, however, was only found to be responsible for 0.6 % of reported Salmonella infections in people in England and Wales, 2006-2015 inclusive. These findings are very similar to those from a study of garden birds, another potential wildlife source of Salmonella bacteria in Great Britain. Garden birds can be infected and sometimes develop disease with particular strains of Salmonella Typhimurium, different to those affecting hedgehogs. Over a recent decade, 2000-2010, the garden bird-associated strains of Salmonella accounted for 0.2 % of isolates from humans in England and Wales. These figures of 0.6 % for human infections with hedgehog-associated Salmonella strains, and 0.2 % for garden bird associated strains, are both very low. It’s therefore important to understand that the risk posed to public health is minimal, even for those working with wildlife casualties, whose work involves regular ‘hands-on’ contact with these animals. How can we help safeguard human and hedgehog health? As is the case following contact with any wild animal or their droppings, we recommend that sensible hygiene precautions are employed as a routine. We advise wearing protective gloves if handling wild hedgehogs directly, and washing hands after direct contact with a hedgehog or its droppings, or when feeding hedgehogs, to minimise any chance of disease transmission. It’s important to note that these hygiene measures can similarly act to benefit the hedgehog’s health: we’ve found some evidence of hedgehogs with disease which was most likely contracted from people. Our next steps are to continue to expand our understanding of the conditions affecting hedgehogs, so that we are in a position to rapidly identify new and emerging disease trends if they occur. Also, with the national tissue archive that we’ve collected, we hope to gather evidence on the exposure of hedgehogs to chemicals in the environment – for example rodenticides and slug pellets – and the effect, if any, that these substances might have on hedgehog health. It will take continued collective efforts and a multi-disciplinary approach to reverse the hedgehog population decline and to conserve the species into the future. To this end, we hope that the information we collect will continue to be useful to those with an interest in the welfare and conservation of these charismatic native mammals. A library of GWH disease factsheets on common disease conditions we diagnose in hedgehogs is available online via our website. GWH disease factsheet on hedgehog salmonellosis. Hedgehog Street is a joint campaign run by the People’s Trust for Endangered Species and the British Hedgehog Preservation Society (BHPS), concerning people, gardens and wildlife. Site provides guidance on habitat management to conserve hedgehogs. NHS Choices general information on salmonella infections. Public Health England Salmonella: guidance, data and analysis. Garden Wildlife Health is funded by Defra, the Welsh Government and the Animal and Plant Agency (APHA) Diseases of Wildlife Scheme (DoWS); and by the Esmée Fairbairn Foundation and the Universities Federation for Animal Welfare.